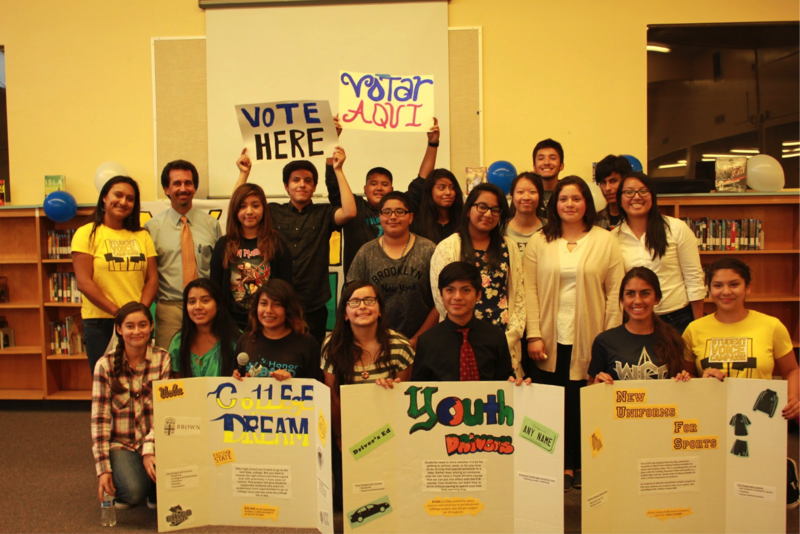 Angel Fernandez was one of many CFJ student leaders who led an effort in San Jose to move their district to implement an innovative democratic process that would allow students to allocate a portion of their school’s budget to where they felt it was most needed. In early 2014, students began meeting with school and district officials to make the case for the program called Participatory Budgeting. They moved one principal, Mr. Vito Chiala at Overfelt High School to take the plunge and pilot this exciting program. He allocated $50,000 to the project, handing control over to the students to decide how the money would be spent. This project was the first of it’s kind in the state, and the largest ever attempted in the nation. 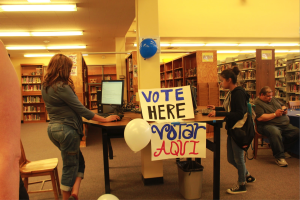 Angel played a crucial role in organizing meetings and rallies to inform and engage students at Overfelt in helping to submit and design ideas, and vote on them. In April, the final results came in. Students would fund a driver’s ed program, new sports team uniforms, and college trips. What this process has really highlighted for Overfelt, for San Jose, and California is that believing in students, believing in their passion, and their power to lead in their schools results in better policies, and students who are truly having their needs met. Angel is particularly excited about what this process means for the future of Overfelt. He said this “definitely has affected how people see school. It’s really empowering, and makes people see that this isn’t just school, this is my future, and I can do something about it.” Beyond funding programs that students value, it’s shown students in a school where 96% of students are low-income that their voice matters, that they can do something about their schools condition, and has inspired students to stay invested and engaged in their education.